Charlene Bramfield leads the club once again as Head Coach for the 2016-17 season. Charlene is a life long swimmer having swum at the age group and masters level. She is a certified coach and has many years of coaching experience at the age group level. Spending a lot of time on deck, Charlene was also the Head Coach of the Dartmouth Manta Rays in recent years. 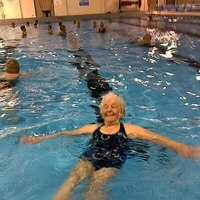 Charlene has a passion for swimming and enjoys creating fun and interesting workouts while focusing on stroke technique. You can contact Charlene at headcoach@dwmsc.com.